Yoga Baum offers a modular pay-as-you-go (meaning pay for the workshops as you attend them) advanced teacher training. Yoga Baum limits enrollment to 10 people in its 200-hour trainings. Apply now to reserve your spot! Are you looking for the perfect combination of strength and flexibility? We have you covered with our Swole & Stretchy packages. Our classes, private sessions, and teacher trainings are customized experiences. We specialize in all levels classes. Our highly skilled teachers tailor each class to the yogis present in the room. All students of yoga, new, experienced, and everyone in between, will be offered a practice appropriate for their goals and skill levels. 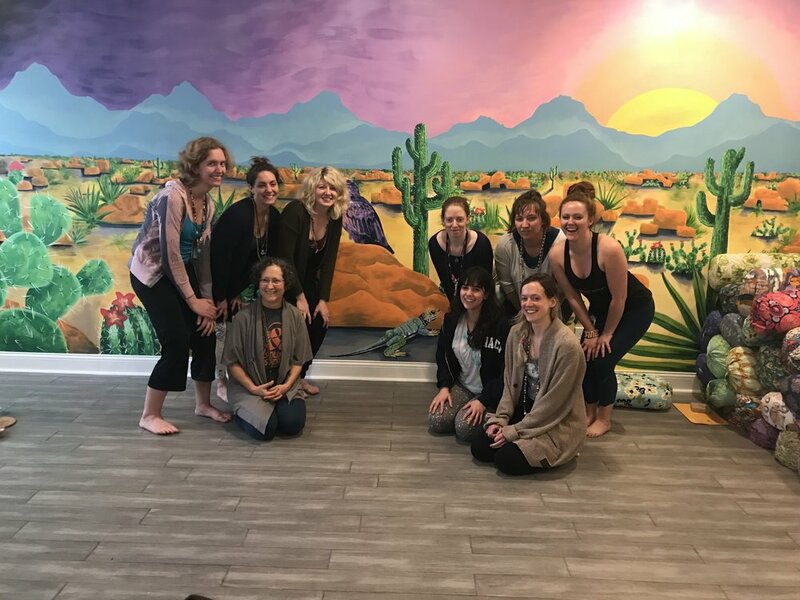 At Yoga Baum, we strive to connect with our students by providing a personalized experience and offering a space to build community. Our workshops, retreats, series classes, and community meditations provide additional opportunities to strengthen bonds and get to know your fellow yogis. We believe in a balanced practice, one that provides space for movement and stillness. In addition to our active classes, we offer restorative yoga. We have all the props your yogi-heart could desire to make your restorative experience truly exceptional. We love our teachers and think you will too. Our teachers have experience working with a diverse community of yogis and are uniquely suited to teach in an all-level environment.